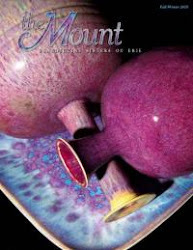 My Birds & Blooms magazine is a source of great temptation to me. Every issue entices me to either (a)buy 3-4 birdbaths and put them all around the Mount grounds as water sources for our birds or (b) dig up big plots of our grass and put in 8-9 more flower gardens or (c) retire so that I can do a) and b) full time, 24/7. Finally this spring I knew I had to indulge these temptations and decided to do just one thing: I bought a birdhouse for bluebirds. After reading the directions meticulously ten or eleven times, I got a maintenance request through to put the house up, on a pole, away from trees, away from houses and other structures, etc...in our backyard. I honestly admit that I thought we had about a 10% chance of getting any dwellers this summer..BUT here it is May 1st and guess what? 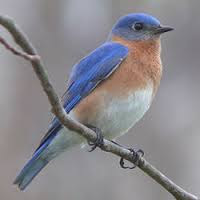 there is nesting material in the bluebird box and just tonight--one of the sisters saw two bluebirds in the backyard! We're ecstatic... well, I'm ecstatic and everyone else is just humoring me! Here, also is a lovely flowering tree that burst out this week. It's in the library courtyard, perfectly framed by the windows of said library. They say that this love of nature--flora and fauna--is common when you hit 50 or so. Lots of kids and young adults love nature, too, I'm sure, but honestly, when you live in such a beautiful setting as ours---how could you not help but love everything about it whether you're 15 or 50? And then, when the morning psalms praise the beauty of God's world....it really is quite glorious. I hope your part of the world is equally rich.